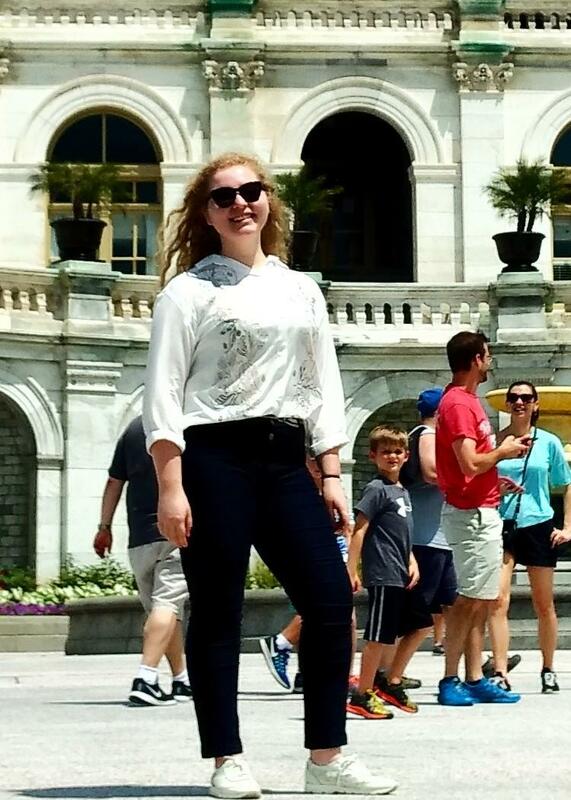 Leyla, a rising Senior at Bethlehem University, has been interning this summer for the Center for Contemporary Arab Studies at Georgetown University in Washington, D.C. Leyla's major is English Language and Literature, with a minor in Translation. Having moved to Palestine from Russia shortly before her 11th birthday, Leyla learned at a young age to appreciate her new home. "Visiting the city of Bethlehem was perhaps one of the most shocking experience in my first year, but only in a good way. I immediately liked the peaceful atmosphere of the city, the Christian-Muslim collaboration, alongside with the historical vibe it gave me. In Palestine in general you can feel that every tree and every rock has its own special story and meaning." "I come from an inter-religious family of a Christian mother and Muslim father, so my university feels like home already. But religion is not something that we as students concentrate on. We just form friendships and bonds regardless of our religious backgrounds. In most cases it is hard to tell who comes from a Muslim family and who comes from a Christian family. If we discuss religion, it is more of an informative conversation; we really want to understand each other, but we do not argue over each others' beliefs." Leyla has a deep passion for the written word and visual communication, analyzing novels and movies. She also has a deep love for music, traveling, and quality time with family and friends. Leyla's interest in the written word found an outlet in her major at the University. She speaks fondly of her experience at the University, as she looks back at her personal and intellectual growth over the past few years. "Of course, this would not be possible without our professors. I am really fortunate to study at Bethlehem University because our professors invest so much in us. Our university is small, and they take care of every student. They do not just teach us theories, but they teach us how to think, how to be critical, how to look at things from different perspectives. Sometimes they give us a hard time, but it is to help us grow, and it is worth every second of it." 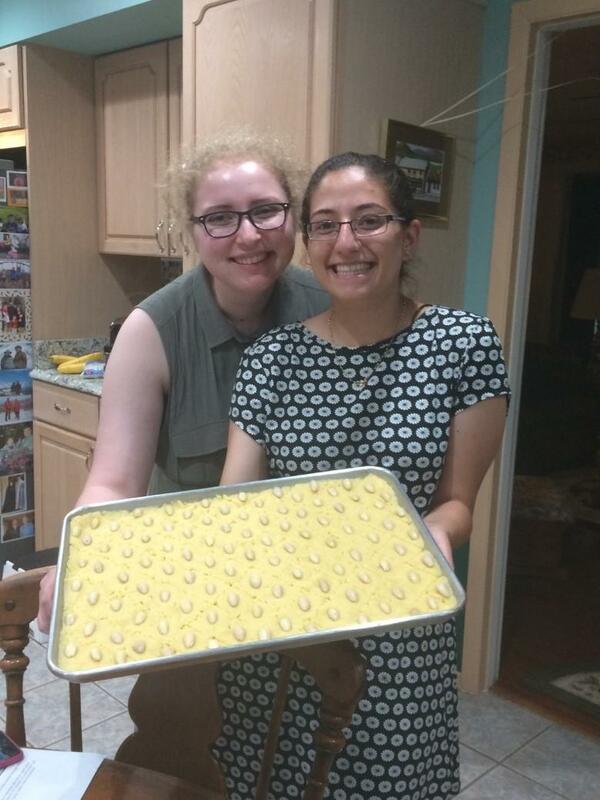 Leyla is shown on the right with fellow Bethlehem University student, Lara Kasbari, as they make harisseh, a classic Palestinian sweet, for the Holy Land Festival on the 15th of July, 2017. This summer, during her internship at the Center for Contemporary Arab Studies (CCAS), Leyla has assisted with several different projects. These have included data migration and organization, helping with preparation for events, writing articles for CCAS's website, and providing Arabic-English translation, among other duties. 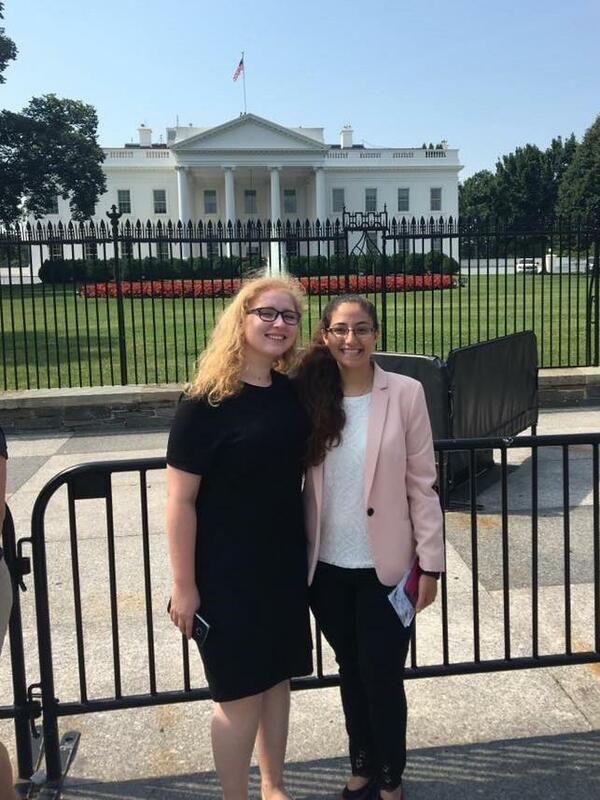 CCAS Assistant Director, Alison Glick had this to say about Leyla's experience this summer, "I had the pleasure of meeting Leyla at Bethlehem University this summer when I was there working on behalf of CCAS. Her enthusiasm about Bethlehem University and being part of the internship program made it clear that this experience would mean a lot to her. It is an honor for us to be part of giving such meaningful opportunities to such deserving students." 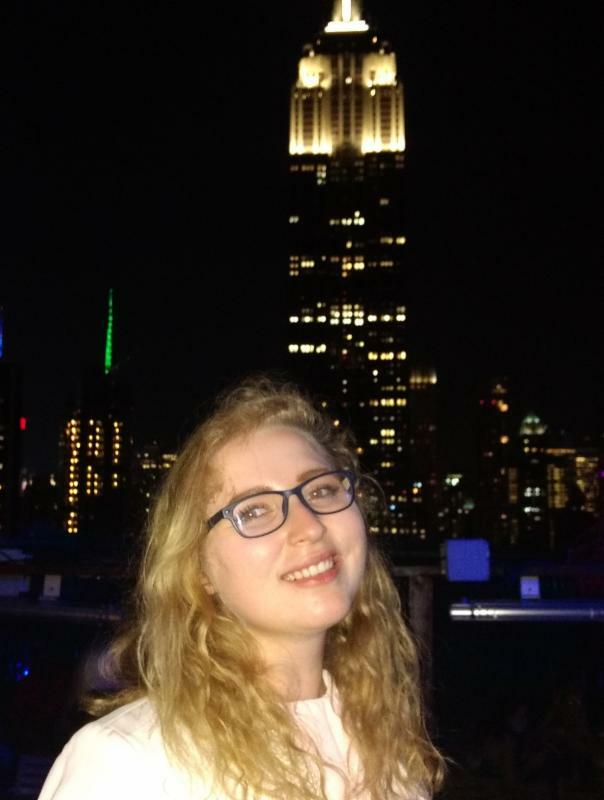 After completing a productive summer of interning, Leyla looks forward to finishing her senior year with high hopes for her future after graduation. "I hope to obtain a master's degree, or perhaps a second degree. Since I am finishing my courses this Autumn, I would like to travel during the Spring semester, or intern abroad again." 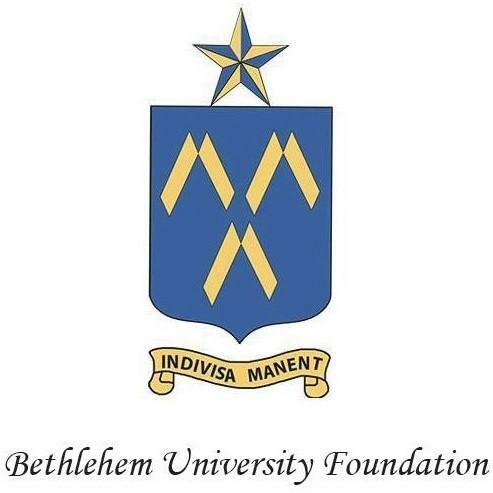 Leyla expresses her thanks to the donors and supporters of Bethlehem University, knowing that it is only with your help that "brilliant students of modest financial backgrounds can get degrees and contribute to the development of their society."